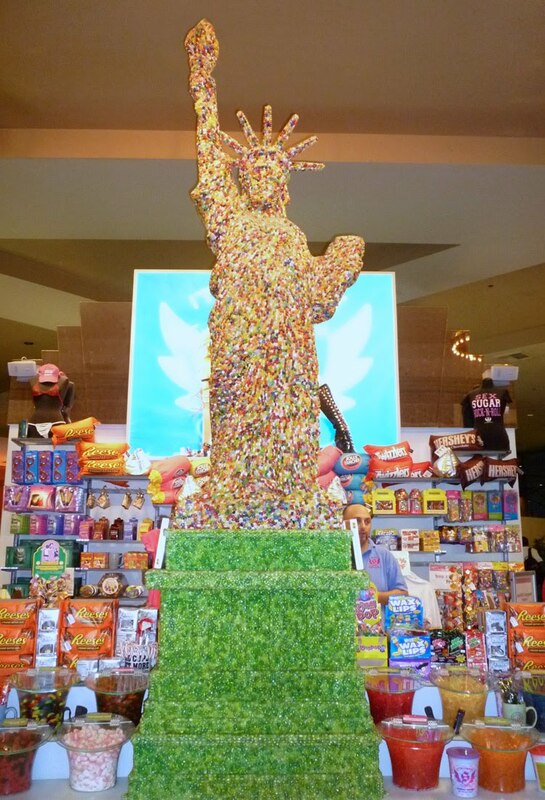 That is tens of thousands of jelly beans sculpted into the Statue of Liberty including the pedestal. Have you seen anything this sweet? Oh, the statue will soon disappear! gigantic sweet, nope, i haven't seen anything sweeter than that. That is too cool! And, what a great shot of it!